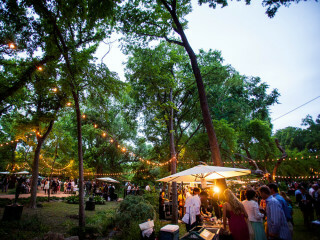 The Umlauf Garden Party is unlike any other event in Austin. Spend the night strolling through the gardens, enjoying select wines curated by Twin Liquors and tasting a variety of bites from the city's most iconic restaurants. You are invited to dance the night away to the electric sounds of the Nash Hernandez Orchestra, bid on unique and one-of-a-kind live and silent Auction items and help support one of Austin's most loved cultural gems. This year's honorary chairs are Paul Qui and Deana Saukam.